CADWorx & Analysis University 2015: Drivers of Success Competition is now open. Don’t miss your chance of participating for a chance to win a trip to CAU2015@HxGN in Las Vegas! If you are an Intergraph CADWorx, CAESAR II, or PV Elite user, submit your success stories by March 24, 2015 for a chance to win. There will be a first-place prize and three runner-up prizes each for: CADWorx, CAESAR II, and PV Elite. Who can enter the Drivers of Success competition? In addition to submitting an application form, is there anything else I have to provide in order to enter CAU2015 Drivers of Success at HxGN Live? • First-place winners only: Participation in a brief, recorded interview session at CAU2015@HxGN Live. This is an opportunity to promote your company and yourself. In case you do not wish to deliver such a presentation, please let us know in advance. First-place prizewinners will receive an all-inclusive trip (including return flights from anywhere in the world to Las Vegas, NV, along with hotel and conference fees) to this year’s CAU2015@HxGN Live. Runners-up will receive an iPad mini. Also, as our way of saying thank you for taking the time to tell us your story, every submission will receive a token of our appreciation. Can I enter in more than one product category? Up to three submissions per company are allowed but only one first-place prize and one runner-up prize can be awarded for each company. How do I submit a winning entry? We are looking for innovative applications of our products. 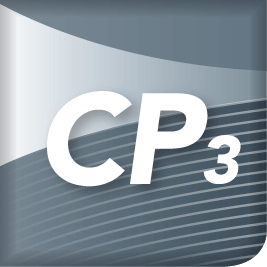 We ask that your submissions focus not only on the use of CADWorx, CAESAR II, and/or PV Elite but also on the project benefits gained. Substantive project information along with the supporting materials mentioned above will help us determine the right winner. If I cannot attend the CAU2015@HxGN Live, can I still submit my entry? We will be happy to welcome our winners to the CAU2015@HxGN Live but we also understand that conflicts arise. Please submit your entry even if you cannot attend. We will give equal consideration to all companies independent of their ability to attend CAU2015@HxGN Live. In case you are chosen as one of the winners, we will send you the certificate, an award and a prize. CAESAR II and Rigid Elements: What is the point? Components that are part of a piping system, such as valves, flanges, and other elements, are much heavier (and stiffer) than the pipe that connects to them. How does CAESAR II handle this? By using rigid elements. Let’s take a look at what a rigid element really is and how it affects your piping stress analysis. 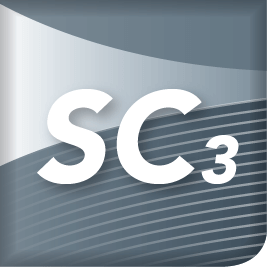 CAESAR II is a 3D beam element solver that computes the element stiffness matrices and load vectors and then solves for displacements, forces, moments, reactions, and stresses. The resulting information is compared against allowable stresses from the codes of construction. While code standard calculations evaluate the pressure-containing capability of all piping components in a piping system (usually through the specifications of listed components), the code standards do not attempt to evaluate mechanical load on non-pipe components (such as a gate valve). Why not? Well, where is a system going to fail first, on the pipe, a valve, or a flange? Typically, it will be the pipe. Additionally, the geometry of non-pipe components are too varied and complex, so accounting for non-homogenous surface area calculations to determine failure on a component that has a very low chance of failing compared to pipe is just a moot point. This parameter can be applied manually using the Rigid selection box on the classic piping input screen. The first is that you have a new parameter that the object carries, “Rigid Weight”. 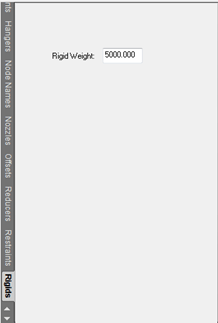 You can assign any number you want to the “Rigid weight” as it pertains to the object you are modeling. For example, if this element was simulating two flanges and a gate valve, you would sum those individual component weights and enter that value into this field. 20-30 to a bright green color with some symbolic geometry so that I can quickly recognize this element during my analysis. Rigid elements can look differently so don’t worry about that too much right now. So now that we have one, how does this affect the analysis? Well, the job of the rigid element is to transfer stresses across the element. 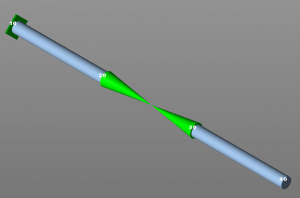 When CAESAR II computes the stiffness matrix during an analysis and solves for loads, the rigid will transfer the load from one side of the pipe to the other. This is a very useful property for modeling more complex types of analysis. 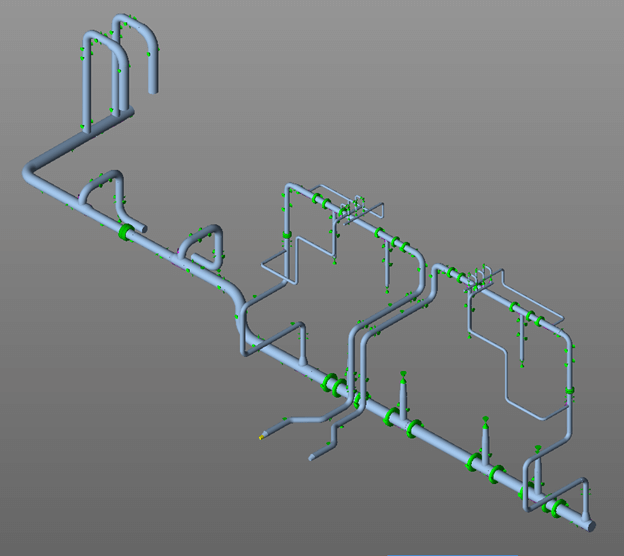 For example, let’s take a look at modeling a vessel attached to piping in a CAESAR II analysis. thin, green element coming from the center of the vertical vessel extending to the flanged connection on the vessel side. What is important to understand here is that rigid elements retain thermal expansion as a property even though their main purpose is to transfer loads during an analysis. So what I have effectively done in this case is accounted for radial expansion of the vessel by connecting my rigid element to the centerline of the vessel and extending it to the vessel’s radius. Rigid elements main function is to transfer stresses between nodes in a piping system. A rigid element can be weightless, or you can define it a specific weight. Thermal expansion can be modeled within a specific application. 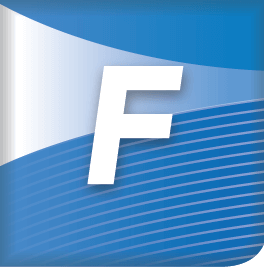 The inherent stiffness of the element for analysis is based on ten times the wall thickness of your piping system. 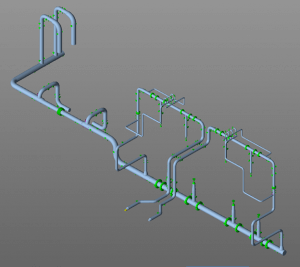 CADWorx will automatically export all non-pipe sections as rigid elements with their weight that was assigned in the specification with the C2OUT command. Rigid elements will not “fail” during an analysis. ECE is holding a 2 day PV Elite training class at our Houston Training Facility on Jones Road. PV Elite Training covers fundamental guidelines for pressure vessel design. The course will be focused on Section VIII Division I, and will cover local wind and seismic codes; however other codes and standards will be referenced. Best practices for pressure vessel design are based on industry provided experience, which will allow attendees to ground engineering principles to real world applications. This course is not lecture based. Content is applied to each core aspect of PV Elite to facilitate hands on learning. Attendees will learn not only how to use PV Elite effectively but also learn how to become better engineers. Understanding code requirements for Section VIII Division 1. Allowable stress requirements and application to pressure vessels. Limiting MDMT requirements for nozzles and shells. Limiting factors for design of vessel, MAWP, MAPNc. Situations for utilizing PV Elite or CodeCalc. Design vs. Analyze modes for pressure vessels. Designing for internal and external pressure. Evaluation of nozzle designs and fabrication options for the designer. Options for skirt, saddle, base ring and leg and support lug designs. Analysis of results in PV Elite. Interoperability between PV Elite and CADWorx. Saddle design and Zick Analysis for horizontal vessels. Heat exchanger tube sheet calculations. Heat exchanger expansion joint calculations. TEMA heat exchangers as well as UHX design. Allowable stresses on tall towers. 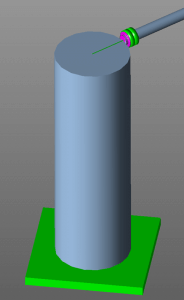 Tower internals and mass distribution. Wind and Seismic codes and load factors. Platforms and wind area calculations. Computing natural frequencies for wind and seismic codes. Computing baserings using the standard and the neutral axis shifted approach. API 579 for flaw and local thin area assessment. Code Case 2695 using Division 1 allowables with Division 2 codes. Generating required report output for code compliance. 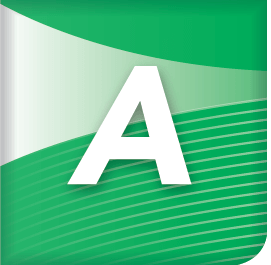 Conformity assessment and QA procedures. Please call or contact us for details and pricing. PV Elite 2015 Service Pack 1 has been released and can be found on the Intergraph Smart Support Website. 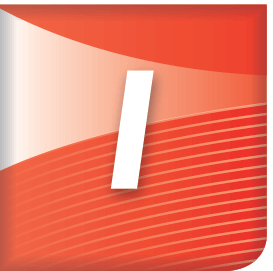 The CAESAR II 2013 R1 Service Pack 4 is now available for download from Intergraph’s Customer Smart System System.